Today we’d like to introduce you to Lorenzo Ferrero. Lorenzo, we’d love to hear your story and how you got to where you are today both personally and as an artist. I was born and raised in Lima, Peru. Even though I was raised in a family of lawyers, my dad has always been a classical music lover, so I’ve been around music since my early years. When I was 13, I decided I wanted to learn to play a wind instrument, so I picked the clarinet and that’s where my journey started. When I was 15, I started playing with the National Youth Symphony Orchestra of Peru, shortly after, I discovered improvisation and Jazz and absolutely fell in love with it. 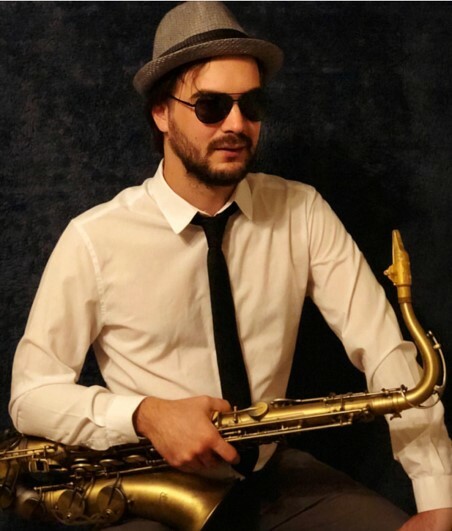 As I learnt more about it, I joined a Jazz institution in Peru where I had the opportunity to play on a Big Band and improve my skills, that’s when I decided to switch to the tenor saxophone. A couple of years later I applied to Berklee College of Music and got accepted on a scholarship, so I left Peru and started my international career. 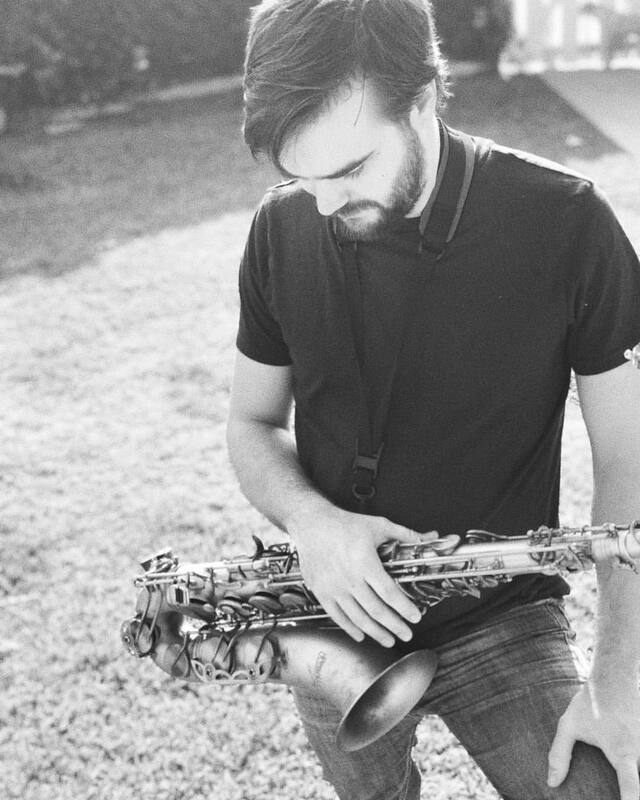 At Berklee, I majored in Jazz Composition, Saxophone Performance and Orchestral Conducting. In those 4 years of studying, I had the amazing opportunity to have as mentors some of the best musicians in the industry and also met some of my dearest friends and musical colleges with whom I continue to work with. I was hired to play with world-renowned bassist “Juan Garcia-Herreros (The Snow Owl) as part of his Jazz band, so after I graduated, I moved to Vienna to join his tour. Together, we played in some of the greatest Jazz clubs all over Europe. During my time in Austria, I also got to explore other sides of my music, both as performer and composer; I worked as a session musician, as a musical director and also performed and produced different projects, working with great artists and talented people, like Grammy award winner producer and engineer Georg Luksch. I was also commissioned by one of the best universities in Europe, the University of Technology of Vienna, to write the opening waltz for their 200 Anniversary Ball held in January 2015. In 2015, I moved to Los Angeles to expand my music career and to start working on my dream projects. Sine I moved, I’ve had the chance to work with amazing film and tv composers such as Christopher Young, Thomas Chase Jones, Michael Abels, among others. I’ve also met and played with incredible performers, like Alex Acuña, and I became a member of his band “Seven Bien”. I’ve performed with him at the prestigious Catalina Jazz bar in Hollywood and also at El Gran Teatro Nacional in Lima Peru, alongside Ramon Stagnaro, Otmaro Ruiz, Netsor Torres and Oscar Stagnaro. 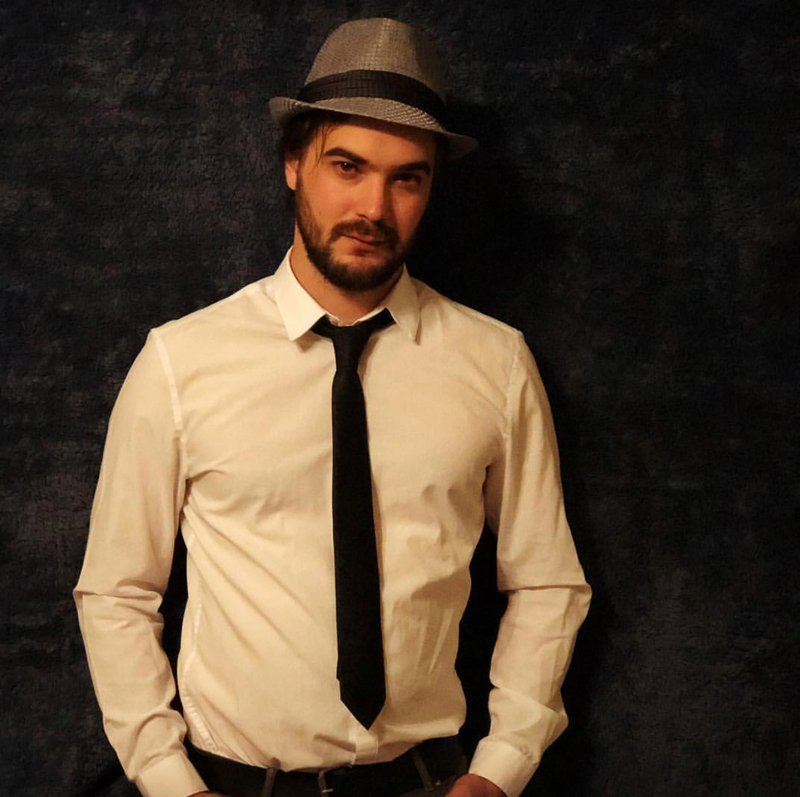 I’ve also been working with the great tv composer Thomas Chase Jones developing the “Music Interval Theory Academy”, based on advanced musical concepts and I had the honor to release my first single “We Look So Good Together” as a featured artist with them. I am a saxophonist, composer and author. As an artist, I’m constantly trying to find ways of merging and balancing each side of me. As a composer I write from Jazz, Big Band music, concert music, music for media, and I also write and arrange my own music as a solo composer and it has a more young, current, contemporary styles like jazz, funk, soul. 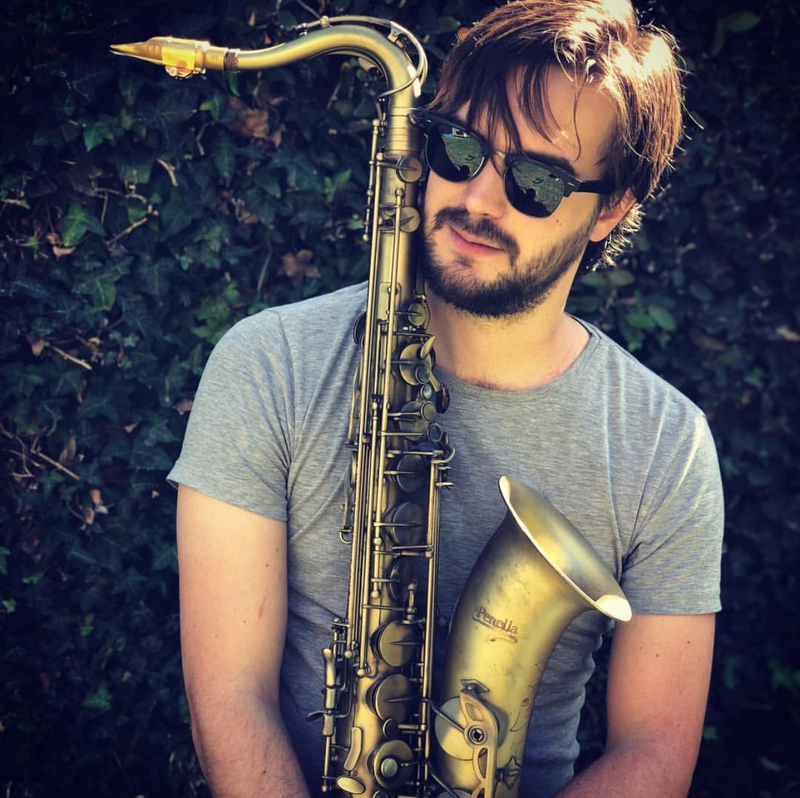 I’ve been working in LA as a session saxophone player and composer. 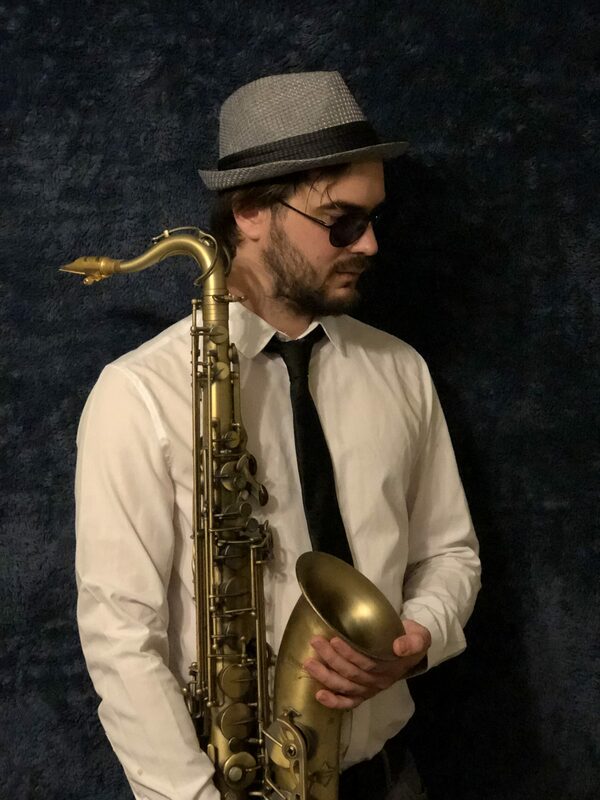 I’ve performed with renowned Latin jazz musicians such as Alex Acuña, Otmaro Ruiz, Ramon Stagnaro, Nestor Torres, Arturo Sandoval, among many others and I’ve had the opportunity to record saxophone for some Hollywood blockbusters such as “Detroit”. However, there is also a relentless performer in me, I LOVE playing, I LOVE performing. Since I was very young, I dreamt of having my own Big Band and writing all the music for it, that dream came true in 2017 when I founded “The Afro-Peruvian Jazz Orchestra” alongside my great musical friend and colleague Anibal Seminario. We are both Peruvian, we grew up loving and playing jazz. We wanted to bring our culture and heritage to one of the styles we love the most, so we decided to create a 20-piece Big Band that blends Jazz and contemporary music with Afro-Peruvian rhythms and elements, which hasn’t been done before. We want to show the world our beautiful cultural elements (as peruvian natives), and our big band is our canvas. The AP Jazz Orchestra’s essence is blending Jazz and Contemporary music with Afro-Peruvian Rhythms and instruments, which is something that hasn’t been done before. We had the honor of performing at the Jazz Education Network Conference (JEN Conference) this past January 2018 and we will also be performing at the Gala Concert at El Camino College’s 5th annual Jazz Festival Gala Concert this May 5th! And throughout there’s also this side of me that wants to give back to my community, my country and my fellow musicians, that’s why I developed my own teaching method and I published my book, “Applications Of Contemporary Harmony”. As I advanced in my career, I started developing a big passion for teaching. I realized living abroad that I’ve been quite fortunate to have access to so much information, talented musicians and so many techniques that I wouldn’t have found if I had stayed back home. I feel like I have a responsibility to pass along all the valuable musical concepts I’ve learnt, specially to students that haven’t had the same opportunities. There is SO much talent in Latin America, and such a desire to learn, yet there are not enough resources. So, in 2014, I founded the Jazz and Contemporary Music Workshops in my hometown Lima, which is based on a series of clinics and master classes in contemporary harmony and music theory, held annually. I’ve created my own teaching method, I give private lessons and in 2016 I published my book on music theory called “Applications of Contemporary Harmony Vol. I by “Violet Anamnesis Publications”. I’m currently working on the second volume and I’m proud to say that “Applications of Contemporary Harmony I” will be used as the music theory text book by all students in the newly opened Music Faculty of the prestigious “Universidad San Ignacio De Loyola” in Lima, Peru. In the last years I’ve learnt so much about my contemporary music, different techniques and about what I really want as an artist. I want to bring all of this into my country, there is so much talent, that I want to pass on everything I’ve learnt and allow all these young talented musicians to have the knowledge I’ve acquired, to experience what I’ve been fortunate enough to experience and find another outlet to let their music shine, to give them resources they haven’t encountered yet. I want to show them there is a whole new world of possibilities, that there are so many places music can be taken to still. That’s my way giving back and encouraging new artists to keep exploring their music, to expand their talents, to change their mindsets. I think the best way to build a community as an artist, is by finding your sound in this world where everything is starting to sound and look the same. This will encourage other artists and people will start to identify you, that way you will make an impact in the community and you will automatically get connected with people who don’t just look at you as someone who is trying really hard to get exposure, but someone who actually believes in something and exposes a new idea to the world. We had the honor of performing with “The Afro-Peruvian Jazz Orchestra” at the prestigious Jazz Education Network (JEN) conference this past January and now we will be holding a clinic and perform at El Camino College’s 5th annual festival on May 5th. We’ll also be recording our first album this July, which will be available at the end of the year. We also perform every other Friday at the State Social House on Sunset Blvd. with my other band Guataca System, playing live Latin music and private events and around town… I’m also developing my career as an artist in the musical styles of Funk, Jazz and Soul.. My new single “We Look So Good Together” was released a couple of weeks ago and the music video is available on YouTube.